Call now 1 (800) 416-1243 or order online. Try the 10-Minute Trainer Abs workout while you wait for your product to arrive. 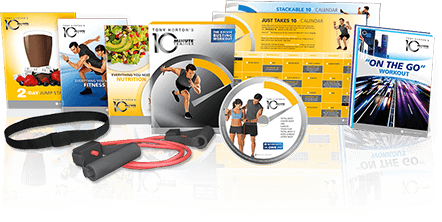 Maximize your weight loss and fitness results by reading the Fitness Guide and make the right food choices with the Everything You Need Nutrition Guide. Read the Resistance Band Assembly Instructions and safety information in your guidebook. Keep Pushing Play. The program will work if you do it consistently. 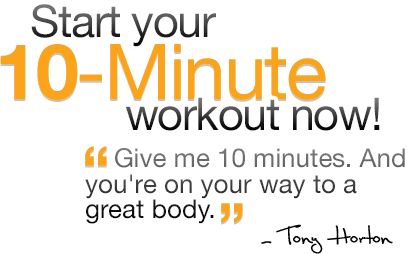 Don't have 10-Minute Trainer? ORDER NOW! Or select a single payment option during checkout. 60-Day Money-Back Guarantee! (less s&h)! Consult your physician and follow all safety instructions before beginning any excercise program. Resistance Band contains natural rubber latex which may cause allergic reactions. †Results may vary. Exercise and proper diet are necessary to achieve and maintain weight loss and muscle definition. © 2019 Beachbody, LLC. All rights reserved.